On Friday we marked Sports Relief by holding a non-uniform day and loose change collection in aid of the ‘A Brothers Journey around the World’ charity bike ride. Two Old Boys of Great Witley CE Primary School are currently cycling around the world in aid of St Richards’ Hospice and Macmillan cancer research. We thought that it would be great to support this terrific endeavour by raising funds for their chosen causes. 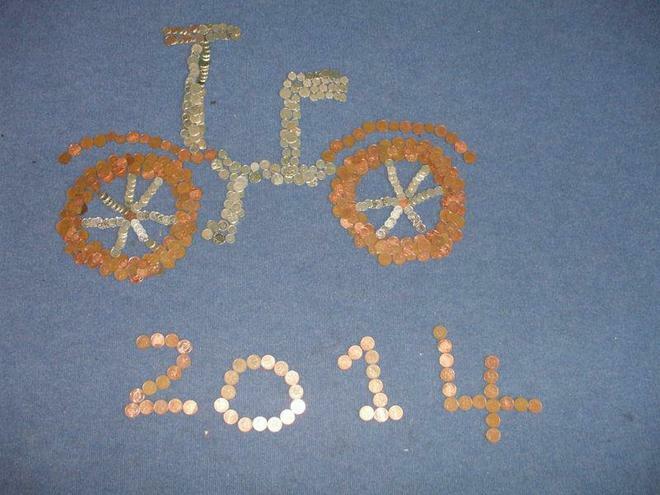 We had great fun today using loose change to make coin bicycle shapes around the school. Many thanks to everyone for their kindness!